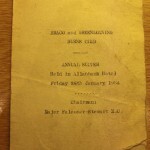 I have had the wonderful opportunity of looking and photographing some documents for the heritage of our club. 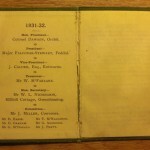 Second viewing was a membership card – more of a booklet really – for the club – belonging to one R.L. 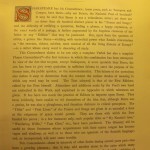 Cooper, who paid 2/6d for the pleasure of being a member in 1931/32. On the inside of the front cover it lists the Honorary President – Col. Dawson; The President – Major Falconar-Stewart; The Vice President – J. Calder Esq. 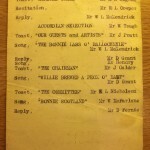 ; Treasurer – Mr W MacFarlane; and the Hon Secretary – Mr W.L. Nicholson. Underneath lists a committee of seven. 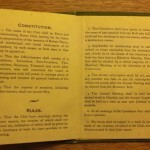 The next pages contain the constitution and 12 rules of the club as they were 78 years ago! 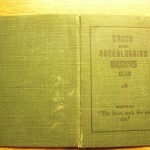 Interesting reading indeed. 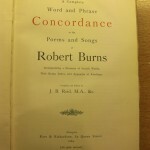 Finally I looked through with awe and wonder at the “Words and Phrase Concordance to the Poems and Songs of Robert Burns” – printed by Robert Anderson of 22 Ann Street Glasgow in 1889. 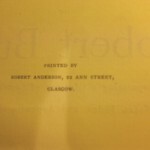 It was compiled and edited by J.B Reid M.A & Co. Who from what I can establish worked for Kerr & Richardson of 89 Queen Street, Glasgow. 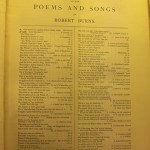 According to the preface “there are over six hundred distinct pieces in his songs and poems and the difficulty of verifying a quotation, finding a phrase, a happy expression or the exact words of a passage is further augmented by the hopeless character of the index to any “edition” that may be possessed”. 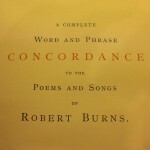 This concordance is a remarkable piece of work in itself. 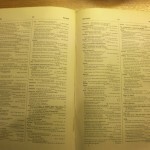 There are now fewer than 11,400 words and 52,000 quotations. 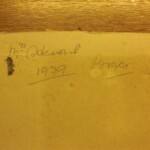 Some interesting notes are that this copy signed by J.M. 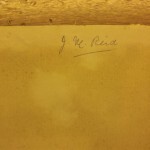 Reid – not sure if this is a relation of the Author – is dated Braco 1939 and it still has the binding tabs in it along with some of the paged uncut. 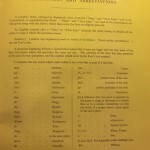 Usually this indicates that this was not a sale copy but a printers/binders draft. 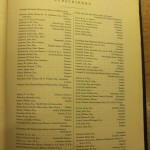 All in all a very pleasurable experience to read of our predecessors – cronies – antics, toils and tasting of fine fare. 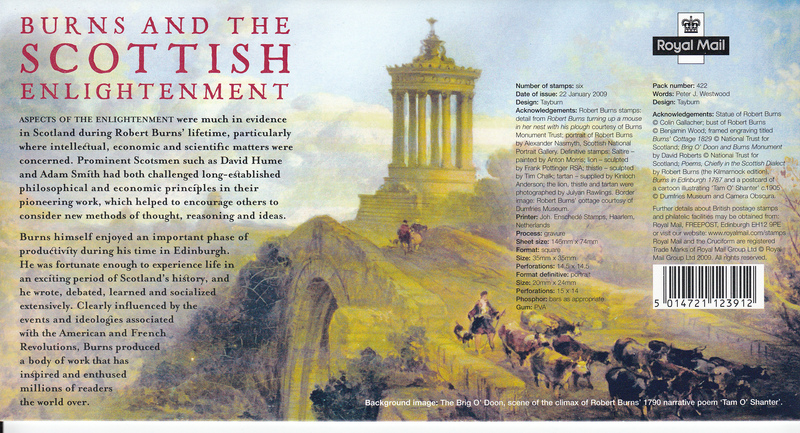 I have added the photos to the website for you pleasure and please do get in touch if you have any more that would illuminate the past for us. 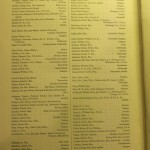 The following are all submissions obtained and added during the websites re-vamp in April 2013. 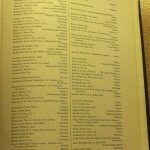 Many thanks for all who supplied Photographs and documents. Anyone who has any more, please do get in touch. 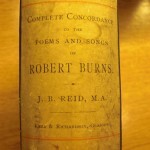 This poem, written by Dan McIldowie was in the year of his inauguration as President of the World Federation of Robert Burns. The following year Dan visited Australia and New Zealand as part of his duties whilst in office. 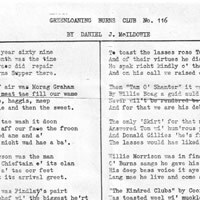 The Minutes recall that Ian McIntosh deputised for him at the supper whist he was on his travels in 1970. 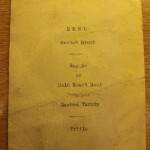 This is our oldest artifact to date. 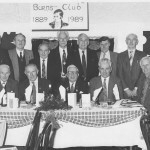 This picture was taken by the Perthshire Advertiser for the clubs centenary supper in 1989. Sadly the immediate past president, Ian McIntosh, passed away suddenly three weeks later. 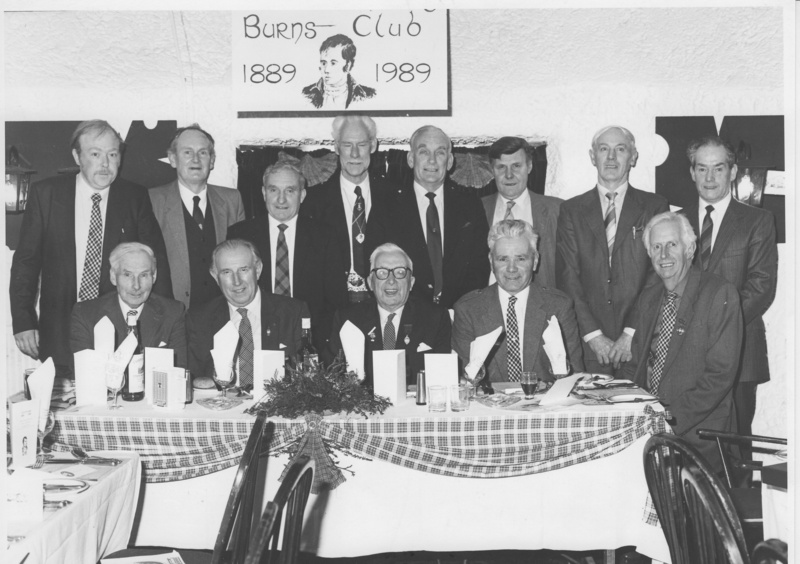 This card was sent to the club at Christmas in the centenary year, 1989. 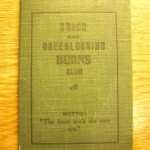 This was sent to the club from our Cronies at Strathearn Burns Club in Crieff. 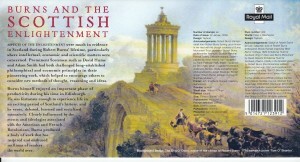 The Illustrated London News coverage of the Festival of Burns held in and around Ayr in 1844. 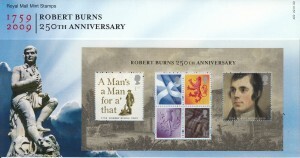 These six stamps were issued by Royal Mail to Commemorate the 250th Anniversary of the Birth of Robert Burns in 2009. 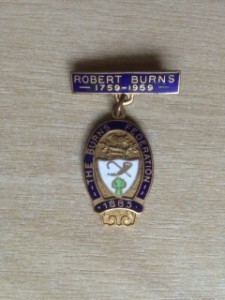 This Burns Federation Medal was issued in 1959 to commemorate the 200th Anniversary of the Bards birth. 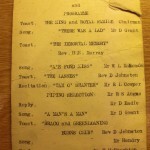 It belonged to the late Ian McIntosh, a past President. This medal can be seen on Ians’ right lapel in the centenary photograph.